pilihan fans: akatsuki is even lebih awsome! pilihan fans: deidara's- Art, is a BANG! Itachi Turned On The T.v. It Turned On To A Cooking tampil And How To Make Sushi. Since He Was Too Lazy To Look For The Remote , He Was Forced To Go Through An Our Of Torture. “Yo Pain,” Hidan shouted, “Where the f*** is Kakuzu? I checked his room and all his s*** is gone.” Pain was sitting in his office with Konan standing selanjutnya to him. Pein and Konan were standing selanjutnya to each other as Pein handed her a piece of paper. “Your mission is to examine the village’s security around the perimeter,” He explained. “Is our headquarters under attack oleh enemy shinobi?” Konan asked. Object of the Game - Your character must be either the first character to reach the finish luar angkasa atau be the only one to still have health. Pain looked at the side of the room and saw that Kisame was getting food served to him from a buffet oleh Zetsu and Konan. 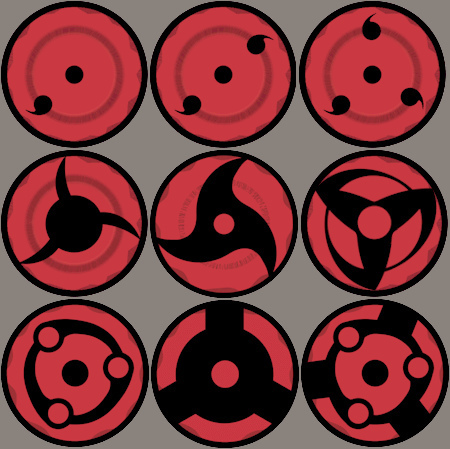 what is the meaning of sharingan?